Coaching Staff and current Trojans for Van Compton Volleyball Camps! Van Compton will begin her 31st season as the head coach of the Little Rock Volleyball program in 2018 after recording a 508-389 (.566) record at Little Rock and a 238-124 (.657) record in the Sun Belt. She has led the Trojans to four regular season Sun Belt Conference championships, five tournament championships and five appearances in the NCAA Tournament. In 2014, Compton fielded the best team in program history. The Trojans finished the Sun Belt Conference undefeated at 20-0 and finished with an overall record of 30-5. Towards the end of the season, Little Rock had the longest winning streak in the nation with 25 consecutive victories. The Trojans finished the regular season with 20 conference wins, the most in Division I. Compton became the Sun Belt Conference's all-time winningest coach when she earned her 216th conference win in straight sets against Arkansas State. Compton earned her fifth Sun Belt Conference Tournament Title after sweeping South Alabama, UT Arlington and Texas State. Compton led the Trojans past the No. 16-seeded Kansas Jayhawks in five sets to earn the program's first NCAA Tournament win. In the final AVCA Coaches Poll, Little Rock cracked the Top 25 for the first time in program history, being ranked No. 24. Compton was named Sun Belt Coach of the Year for the second time before earning her first AVCA Southwest Region Coach of the Year award. In 2013, Little Rock finished the year second in the conference behind another stellar offensive season from Edina Begic. The junior claimed the Sun Belt Conference Offensive Player of the Year Award and was also named an Honorable Mention All-American. The Trojans finished the season with a 20-11 record and were 12-6 in Sun Belt Play. The team won the New Mexico State Tournament as well as the Memphis Tiger Invitational in non-conference play. In 2012, Compton helped guide the Trojans to their first Sun Belt Conference Division Title since 2000. After going 4-8 in its pre-conference schedule, Little Rock went 9-5 in the SBC. Compton coached her third SBC Player of the year as Edina Begic finished second in the nation in both points (5.74) and kills (5.08) per set. After starting the year 1-4 in matches that go the distance, Compton guided the Trojans to a 6-0 record in conference play in five-set matches. In 2011, Compton coached her fourth Sun Belt Freshman of the Year as Edina Begic earned the honor and was named second team All-Sun Belt Conference. In 2008, Compton led the Trojans to back-to-back 20-win seasons for the first time in school history and a second place finish in the Sun Belt west division. Also for the first time in school history, Amy Hafner earned Sun Belt Conference Defensive Player of the Year. Amila Barakovic earned first team All-SBC honors, while Anita Bucur earned second team. In 2005, Compton was named the Sun Belt Conference all-time volleyball coach. Compton has led the Trojans to an over-.500 winning record in Sun Belt Conference play 20 times and became the first coach in conference history to record 100 Sun Belt victories with the Trojans' 3-0 victory over New Orleans on October 18, 2003. Since 1991, when Little Rock joined the conference, the Trojans are the only team to win three consecutive conference tournaments. Compton led the 1996 Trojan squad to its first-ever Sun Belt Conference title. Little Rock then advanced to the NCAA Tournament for the first time. The 1997 season saw Compton leading an injury-plagued squad to its first-ever regular season title as well as its second-consecutive tournament title. The Trojans advanced to the NCAA Tournament for the second-straight year in 1997. In 1998, the Trojans made Sun Belt history with their third consecutive tournament title and NCAA appearance. The 1999 season saw the end of the Trojans' run at tournament titles, but still kept Little Rock’s string of success alive with a share of the regular season title. In 2000, the Trojans' success began anew, as the squad won both the regular-season and tournament titles and advanced to the NCAA tournament in Gainesville, Florida. 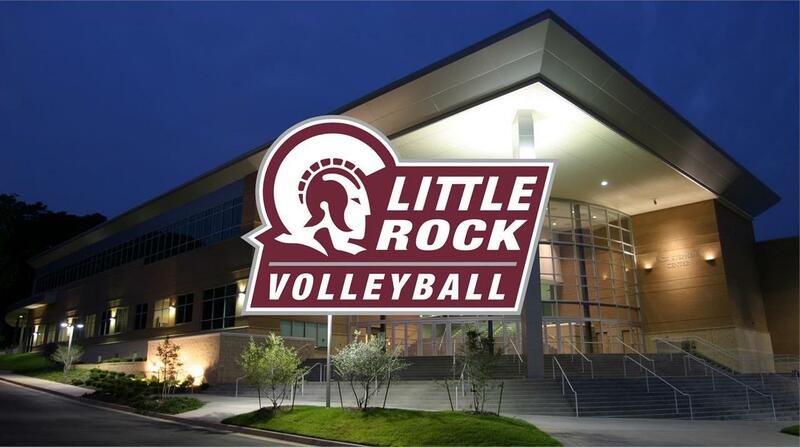 In 1988, Compton resurrected the volleyball program at Little Rock. The following season was a major turnaround for the Trojans. Compton led the 1989 Trojans to a 27-11 record, improving by 21 victories over the previous year. In 1990, the team finished at 21-3 and finished second in the NAIA District 17 Tournament. Along with the rest of the Little Rock program, the volleyball team made a big step in competition, moving to the Sun Belt Conference in 1991. Little Rock has reached the conference tournament 18 out of 20 seasons since being in the Sun Belt. In 1993, Compton was named the Sun Belt Coach of the Year after directing the Trojans to a 24-12 mark and a second-place finish in the league. A graduate of Arkansas State, Compton taught high school in her native Forrest City, Ark., before becoming women's basketball and volleyball coach at Arkansas College. She joined the Little Rock athletic program in 1986 as women's basketball coach before taking over the volleyball reins in 1988.